A man has been placed on a community order with unpaid work after he breached a restraining order. 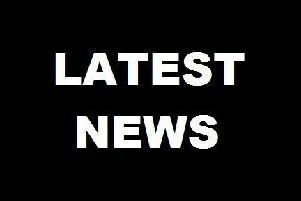 Chesterfield magistrates’ court heard on February 25 how Liam Jamie Shaw, 24, of Moston Walk, Grangewood, Chesterfield, had been given a restraining order in December but he was caught by police with his former partner at her home. Prosecuting solicitor John Cooper said police received an abandoned call and phone the number back and it was answered by Shaw who confessed he was at his ex’s address in Chesterfield and knew he should not be there. Police visited the property and found Shaw at the property with his former partner and he told officers he had been there because he loved her. Shaw also told police that he and his former partner had been arguing and she would not let him leave so he decided to call the police to prevent the situation from escalating. He admitted breaching the one-year restraining order on February 25 after it had been imposed on December 13. Defence solicitor Kevin Tomlinson said Shaw had been out drinking with his former partner before they returned to her home and had an argument. He added that Shaw has reflected on the relationship and accepts it is not in his interests for it to continue. Magistrates sentenced Shaw to a 12 month community order with 40 hours of unpaid work.